1. Benefits of Malaga card: The Malaga card is the ultimate solution for discounted traveling, sightseeing and shopping in Malaga. The card offers free entry in over ten different monuments and museums located in the city, as well as a number of amazing leisure discounts. 2. Attractions included in Malaga card : Tourists can avail free entry to 10 of the most prominent attractions, monuments and museums in Malaga; these include Municipal Museum, Malaga Picasso Museum, Malaga Cathedral, Museum of Contemporary Art, Picasso’s House, Malagueta’s Bullring and Bullfighting Museum, Cathedral Museum, Popular Arts Museum, Interactive Museum of Music and more. 3.Other Benefits of Malaga card: MalagaCard offers a complete guide to the historic centers along with maps and routes, free bus for tourists. Discounts at bars, restaurants, cafés, car hires and entertainment are part of the package too. 4. Price and validity of Malaga card: The card can be purchased for 1, 2 and seven days and expires at midnight of the validity date. The cost of the Malaga card for one person is 35 Euros, and there are no discounted options available for kids. 5. Benefits of purchasing online: By purchasing the Malaga card online, tourists can save a considerable amount of time that can be spent exploring the wonders and beauty of Malaga, instead of waiting in lines to acquire the card. About Malaga City Card/Pass: Malaga is a city in autonomous Andalusia in Spain. It is the sixth-largest city in Spain and the second-most populous city of Andalusia, with a population of 569,130 according to 2015 data. Malaga is located on the Coast of the Sun (Costa del Sol) and it is also the southernmost large city in Europe with many beautiful places for tourists to explore and captive themselves. With the Malaga City Pass, you let yourself loose and explore the Costa del Sol's capital at your leisure. The Malaga City Pass has 2 options; the Malaga Experience Card and Malaga VIP Experience Card, so it is up to you to decide the one that is most interesting to you. The two cards both have some of the most awesome tours and things to do in this city such as the Malaga Bay Cruise, a guided walking tour, and 24-hour City Sightseeing bus ticket. With the Experience Card, you get access to 6 attractions while the VIP Card gives you entry into 4 top attractions with an additional Jaleo Flamenco Show. You get a mobile ticket for convenience. You get your city pass upon registration all online, no need to for the hassle of pickup on arrival. With the Malaga City Pass, you get to visit attractions at your own leisure time. You get discounts on attractions, tours, leisure activities, and museums. You get a Free Map Brochure with important information about the places you want to explore. 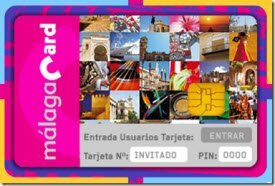 What Attractions are covered by the Malaga City Card? 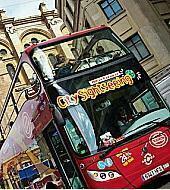 What Sightseeing Tours Are Included in Malaga City Pass? Malaga City Pass Transport Options: There are no transport options with the Malaga City Pass, all tourists are to take care of transportation from the airport to Central Malaga where the tour starts. Tourists can decide on the days they wish to embark on their sightseeing adventure in Malaga, either on weekends or during weekdays whichever works for you. Malaga City Pass Validity: The Malaga City Pass is only valid for 24-hours. That is, you get to visit the best places in Malaga at your own time during the 24-hour period. What Are People Saying About Malaga City Pass? Based on reviews from past users of the Malaga City Pass on tripadvisor.com, a tourist by the NicciBonfanti from Epsom, United Kingdom stated that he had "Great value for a day" to learn the history of the place and also get to visit the top places of interest in a short time with your Malaga City Pass. 1. 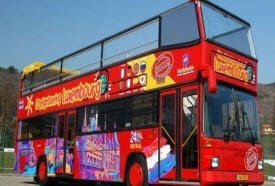 Benefits: The Hop on Hop Off tour at Malaga is the must-do for all tourists visiting the city as it is easily the most fun filled and informative way of sightseeing around. Audio commentary is available in 8 different languages so that all tours can understand and appreciate the cultural beauty of the city. 2. Attractions valid: During the tour, travelers get to discover the wonders of La Manquita City Cathedral, Picasso Museum, Old Palace Fortress, Teatro Romano, Castillo de Gibralfaro, Centro de Srte Contemporaneo, Palaza de Toros, Malaga Beach, Mercado de las Flores, La Concepcion, Cementerio Ingles and many more. 3. Price and validity: The ticket costs 18 Euros for an adult, and 10 Euros for one child, and is valid for 24 hours. The duration of the complete tour is approximately 80 minutes. 4. Benefits of purchasing online: The tour can be booked online to get seats in advance and avoid inconvenience. Online purchases also help tourists save time while in the city. 1. Benefits of card: The Renfe Spain Pass is tourists of Spain overall. Being personal and non-transferable, the cardholders can choose as much as 12 journeys within a month. The card is applicable for all small to medium distance travelling. The card can be printed anytime you want. 3. Price and card validity: Renfe Spain Pass for tourists for four journeys per month costs 163€ while 392€ is charged for 12 journeys. Special discounts are offered on children’s card. The pass is active for six months from the date of issue. However, you are liable to use it within one month from your date of activation depending on the number of journeys supported by your card. 4. 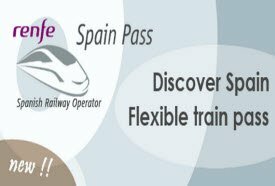 Benefits of buying online: The Renfe Spain Pass for your journey to Malaga can be booked and purchased online. Make an account and enjoy the smooth and hassle free order and purchase. 1. Benefits of card: Eurail train pass offers travelling bonuses with the likes of discounts on boats and buses for ultimate travelling in the grounds of Malaga. Passes are sold to overseas distributors and can be used with partner companies for travelling as well. 3. Price and card validity: The Eurail Spain pass price varies from $218 to $557 depending on the number of days of your travelling and the choice of class such as first class and second-class chosen. Furthermore, youth discounts come for 12 to 26 year olds. The pass is easily available starting from 3 days to all the way up to 10 days. As soon as you validate your pass, you have exactly two months of user time irrespective of whether you spread the time or use it one time only. 4. 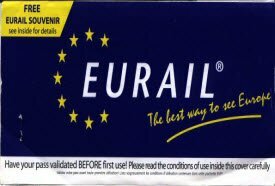 Benefits of buying online: You can order online for hassle free ordering and delivery of your Eurail pass. The delivery choices are affordable and service never fails to please. 1. Benefits: Bon Apetit gives you fabulous discounts on many selected restaurants in Europe. In Malaga for example, holders of the card get various discounts at well-known restaurants such as Wok Directo, Amigos Grill Muelle Uno etc. Most discounts are 20% off lunch and dinner. However, the discounts vary according to restaurants and membership level of the card. It's valid for a number of cuisines allowing you to experience and experiment with different cultures and tastes, without blowing your money. 2. Cost and value: There are two categories of the Bon Apetit card. A 12 month membership is for 55.35 euros, while the 3 month membership is for 27.06 euros. 3. Special features: With the Bon Apetit card you can go to any restaurant, anytime and avail your discount. There's no restriction on the number of times you use this card. It's not just valid for you either. You can invite friends and family and slice off a huge portion from your bill.